Winter has been weirdly warm this year. Not that I'm complaining, mind you. It's nice to see green growing out of the brown landscape already. The sewer of Bonnie's Sew Crazy sowed a crop of earthy tones in time for spring. A floral bib necklace, a crochet owl phone case and my underwater mermaid art print are just a few of the handmade items that sprouted up. Leaping Lizards It's Leap Day! Lovely brown and green collection! Those are great colors together. Such a beautiful collection, love the color scheme and selections! Really lovely treasuries this week. 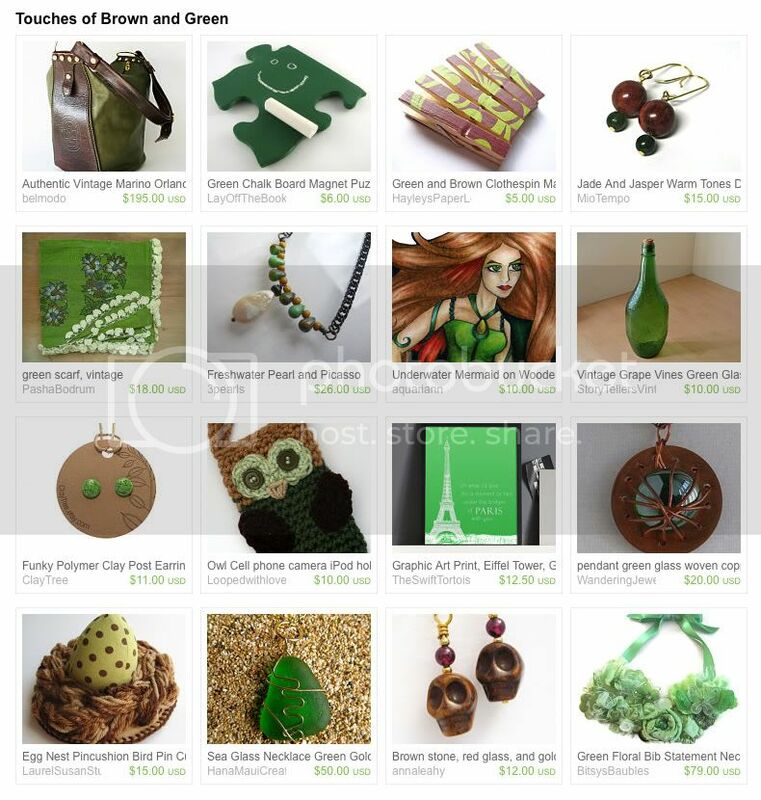 love the colours of this treasury! Great idea! Thanks.Now I'm off to view some treasuries! I'm linking up and going to check out some Ts.